Features: Complies with IEEE802.11b/g. 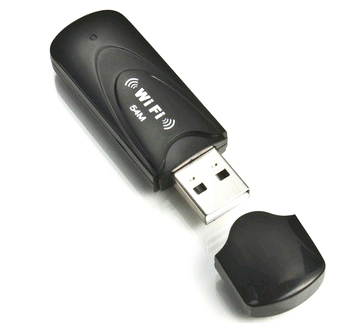 Supports 54/48/36/24/18/12/9/6/11/5.5/12/1 Mbps wireless LAN data transmission rates. Up to 300M transmitting distance. CCA (Clear Channel Assessment) technology for detecting the wireless signal interference around and auto change the bandwidth for steady performance. Auto detects network and changes transmitting rates accordingly. Two working modes: Ad Hoc Mode and Infrastructure Mode. Supports 64/128-bit WEP, complies with 128bit WPA standard (TKIP/AES), supports MIC, IV expansion. Quick security set-up, complies with WPS for worry free wireless security. WMM for more fluent audio and video communication. Two modes of WPS encryption, i.e. PBC and PIN, for saving your time and effort to remember password. Internal intelligent omni-directional antenna offering powerful performance. Indication light for working status. Simple configuration and monitoring. Supports roaming technology, efficient wireless connection guaranteed. Supports Soft AP functionality. Offers you with much fluent audio and video communication, on-line game playing, and video streaming. Support connecting PSP, WII, NDS to Internet. Support Xlink Kai. USB 2.0 Hi-Speed interface. Low power with advanced power management. Supports Windows CE, 2000, 2003，XP, Vista, 7, MAC, Linux.